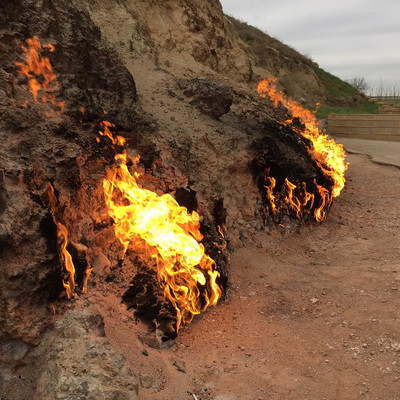 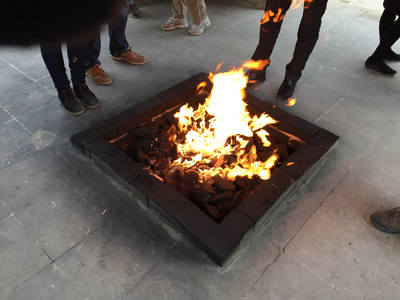 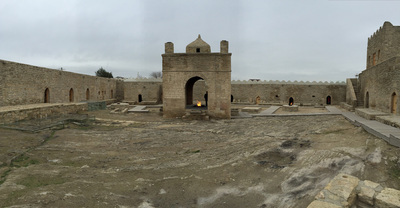 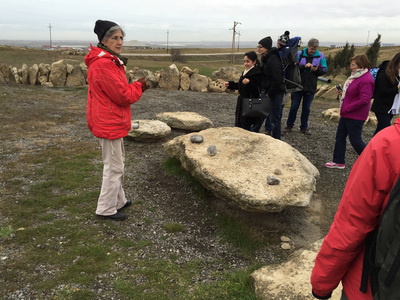 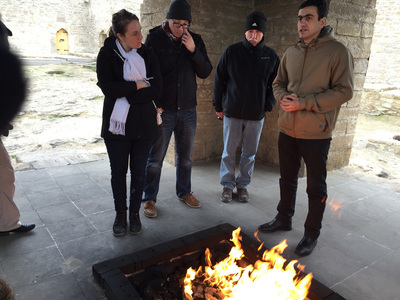 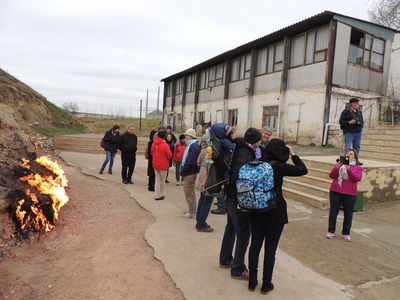 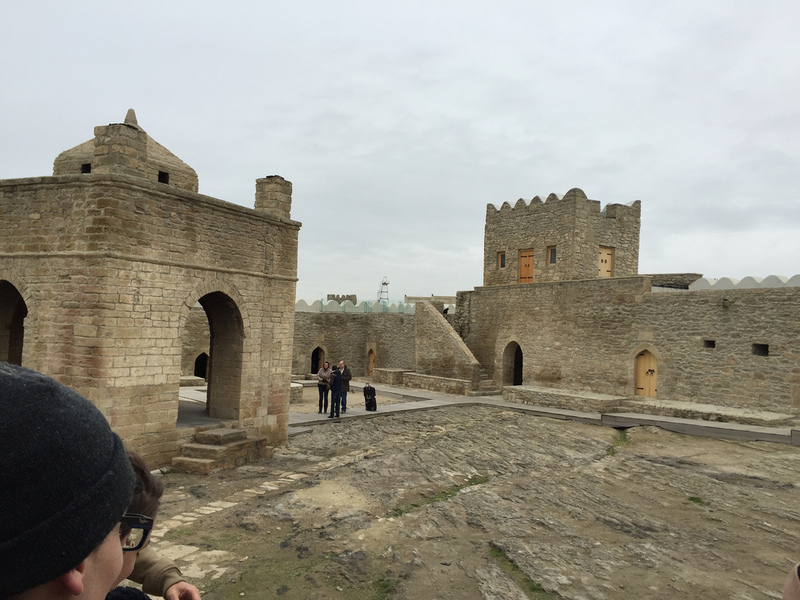 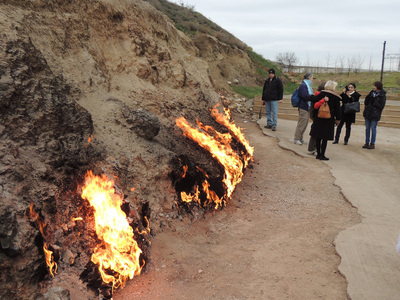 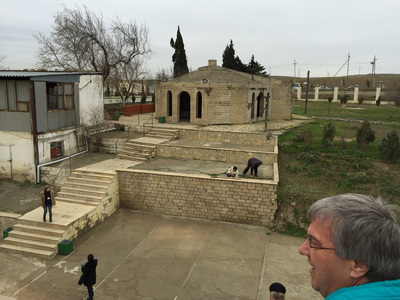 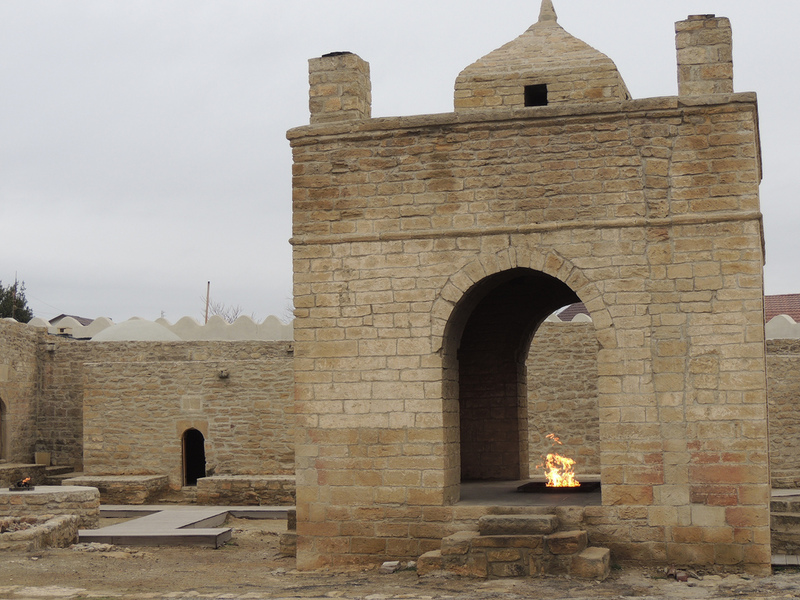 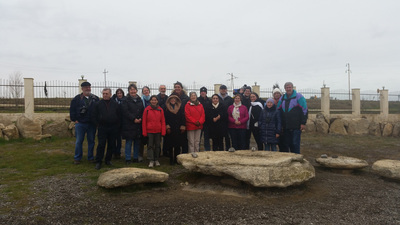 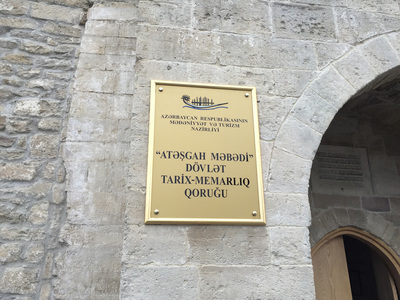 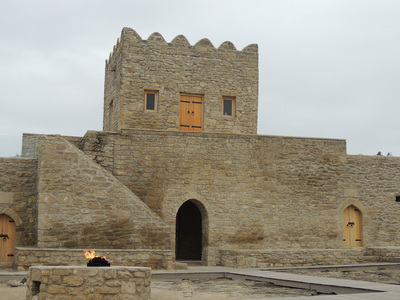 The school takes employees on another trip to see the eternal fires burning out of the ground in Yanar Dag and to an ancient Zoroastrian temple at Ateshgah. 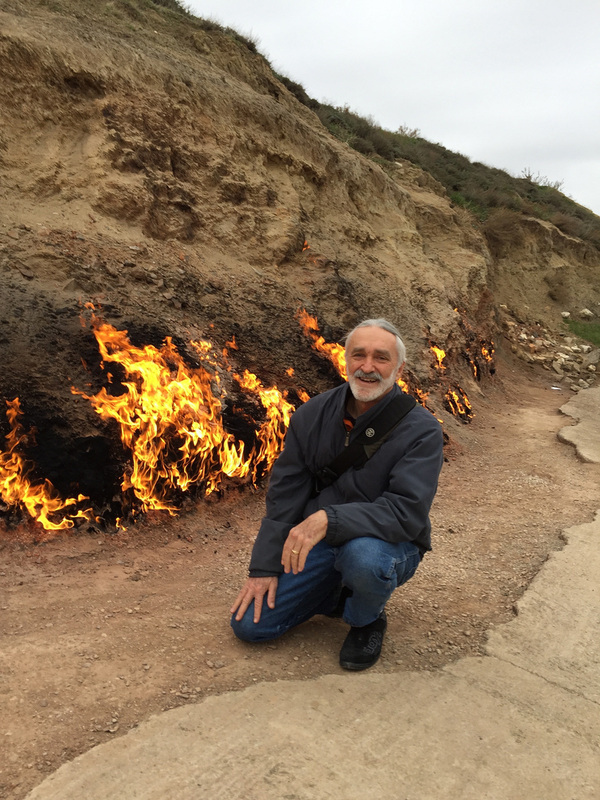 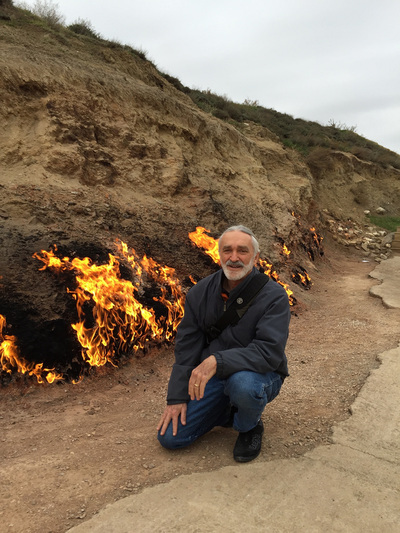 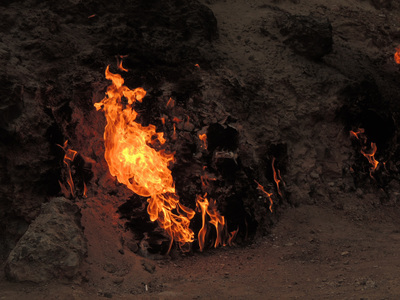 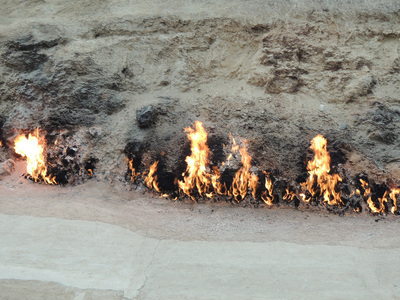 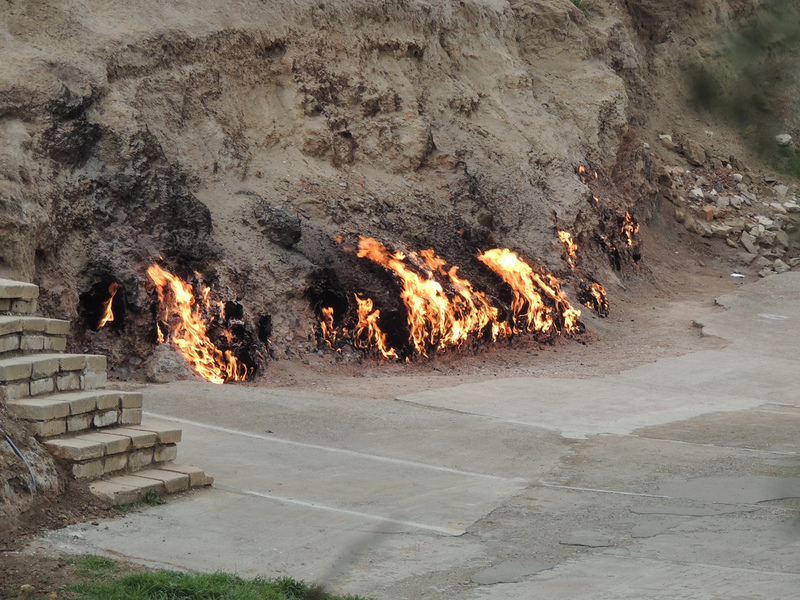 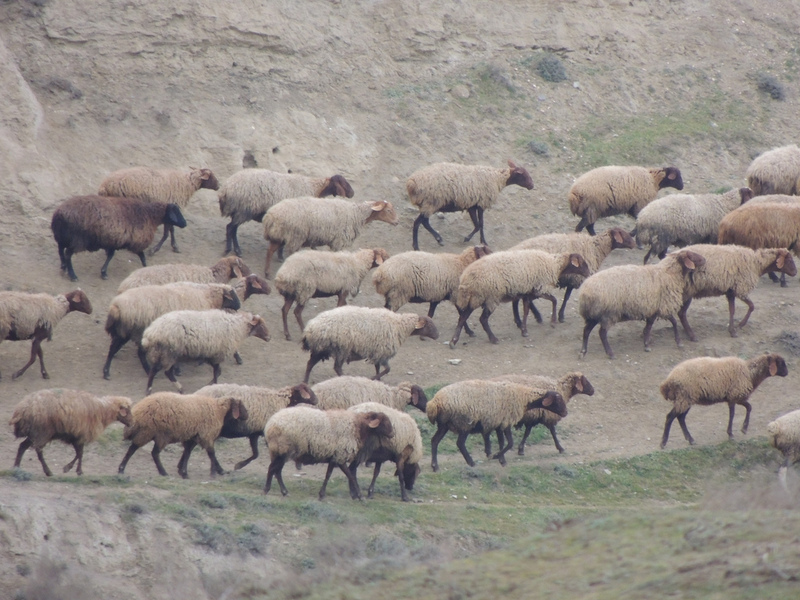 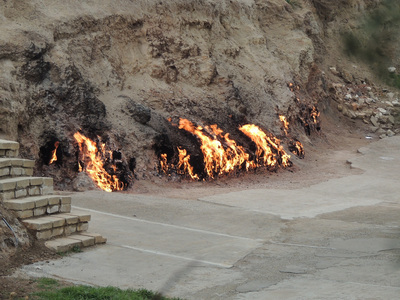 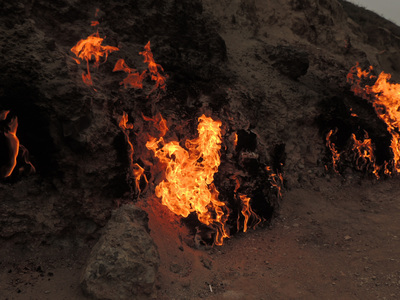 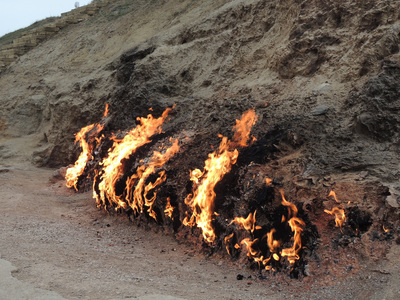 Yang Dag, translated at 'burning mountain' is a natural gas fire which blazes continuously on a hillside on the Absheron Peninsula. 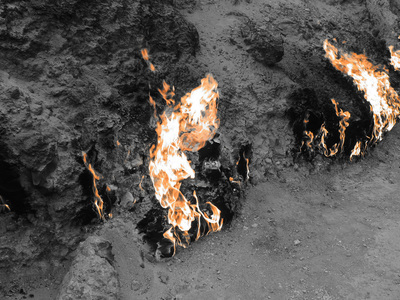 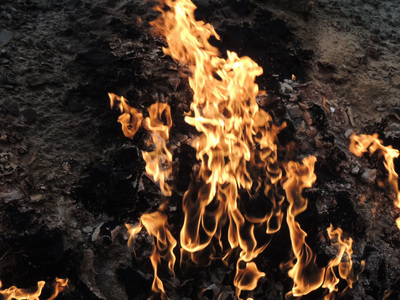 Flames jet out into the air 3 meters from a thin, porous sandstone layer. 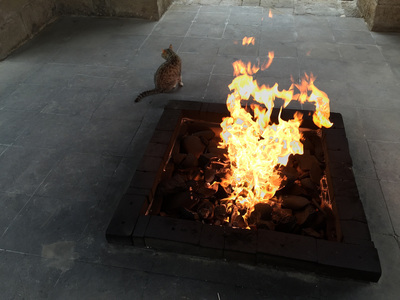 There are nearby streams where the surface can be lit with a match. 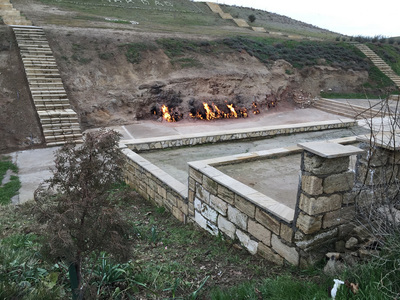 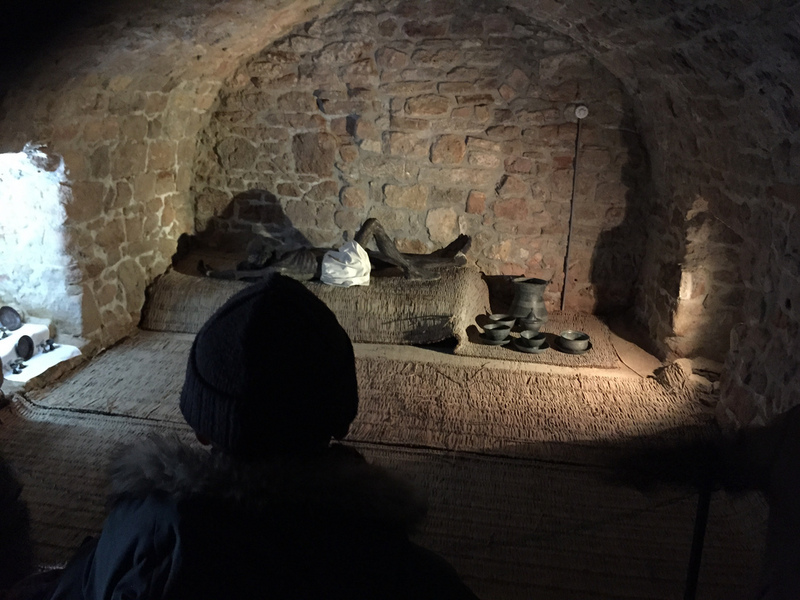 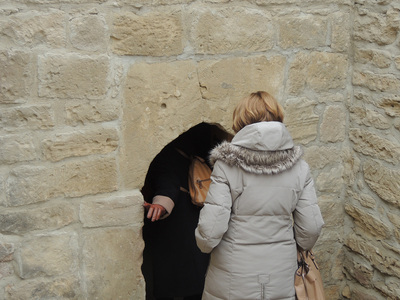 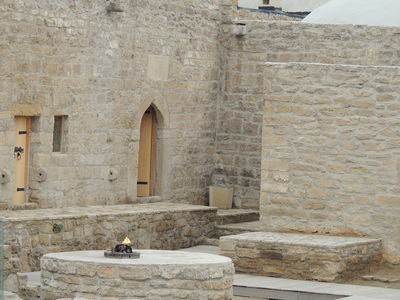 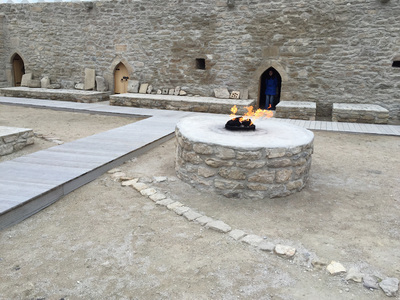 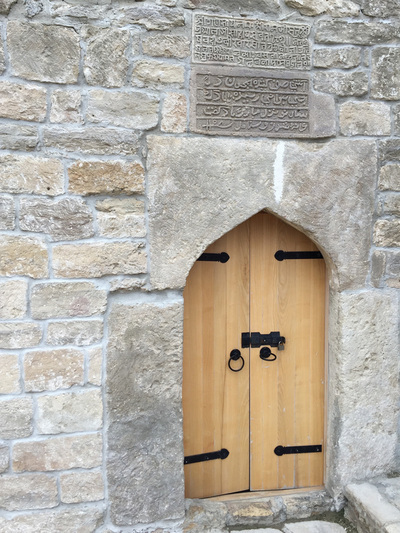 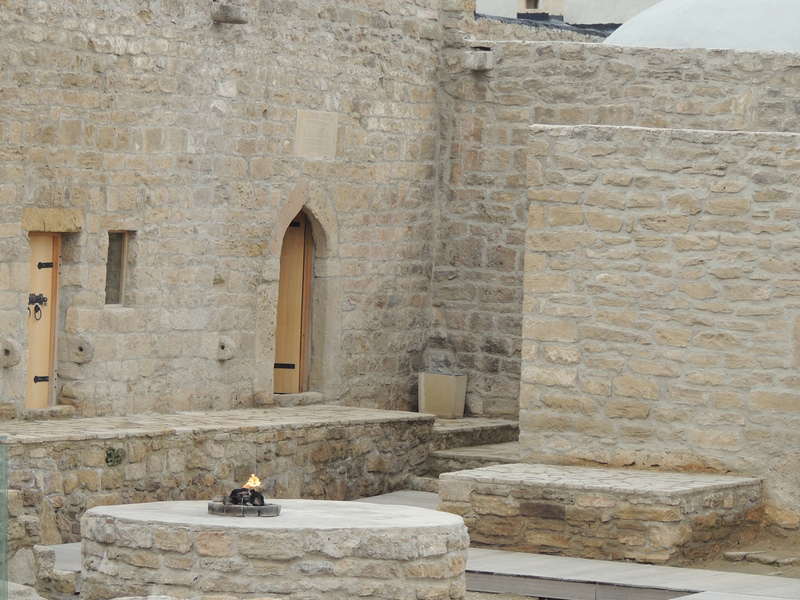 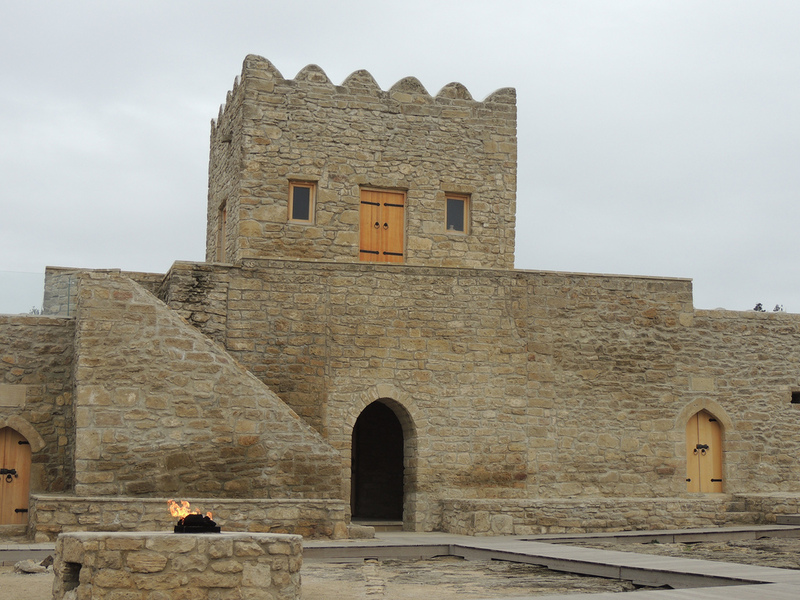 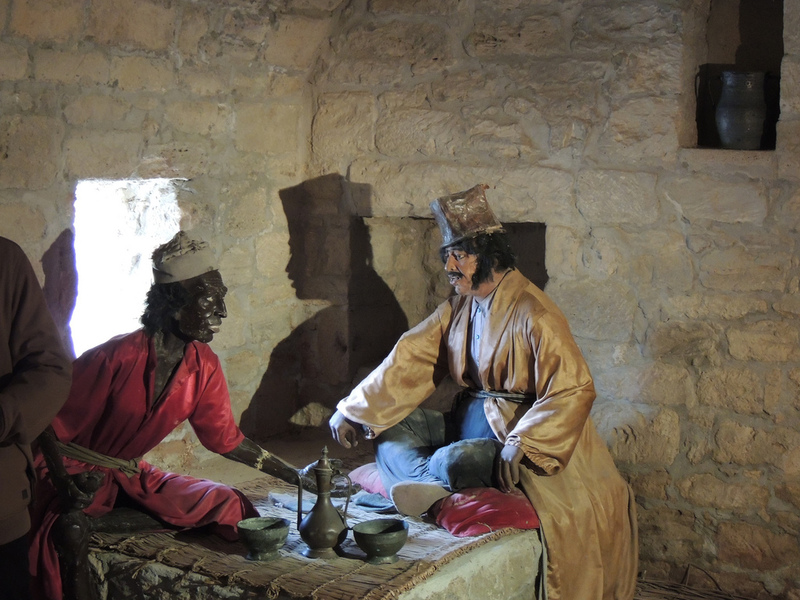 The Zoroatarian 'Fire Temple' in an ancient castle-like temple where people worshipped fire.